All mega scam which are rocking the Indian politics and putting question mark on UPA Govt.’s Mr. Clean PM is giving sleepless nights to BJP National President Nitin Gadkari as his name is figured in all scams v.i.z, ‘Watergate –Coalgate and Powergate’ at the time when BJP wants to give him second term by amending it’s constitution hence one has to look in the truth of these allegations as these scams are amounting to tune of Rs.5 lacs crore ,a shocking figure may go beyond that hence there should be very serious debate on whole issue in civil society . 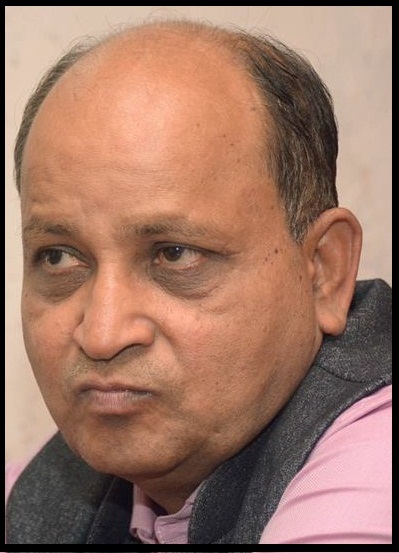 BJP workers are attacking India Against Corruption (IAC) member Anjali Damania, who has exposed irregularities in irrigation projects with the help of the Right to Information Act, after she gave complete account of meeting with BJP president Nitin Gadkari at his residence in Worli, Mumbai, on August 14. She was shocked by BJP president Nitin Gadkari response that he had business dealings with NCP leaders hence he can not help her but they should known the ground reality which much more hostile and pathetic for the national party whose President is sharing power with corrupt UPA parties since 1999 and it is reflected in accumulation of amazing wealth and shocking business relation with mafia contractors and key players being figured in ‘Watergate –Coalgate and Powergate’ scams ,there are other leaders in BJP and NDA who are running business empire but not named in these scams hence to say these allegation against BJP president Nitin Gadkari are politically motivated are very easily advocated for the political debate on TV channels but in reality one has to think BJP president Nitin Gadkari and his family members recent growths and stake in companies involved in power projects, coal blocks ,ethanol blending cartel ,sugar factories, road contracts and massive investment out side India . Those who knows style of working of BJP president Nitin Gadkari are not surprised with recent revelation of India Against Corruption (IAC) member Anjali Damania as she is not aware of business interest and close loop cartelization with CONG-NCP leaders where it is road contract under MSRDC - NHAI or allotment coal or mining blocks at centre or states more over sanctions of finance and NOC for power projects there is prefect operational MOU which has made these all scams being taken place so smoothly even those who are raising voice against these mega scams are being targeted selectively and there is no serious follow up at the floor of house more over it is matter of shame for all RSS-BJP national leadership who are knowing truth but keeping mum with any resistance inside party. One can understand that media management of BJP National President Nitin Gadkari but civil society is shocked over the role of National Executive of BJP when all main accused in these ‘Watergate –Coalgate and Powergate’ are being sent as law makers with support of BJP to upper house of parliament and Maharashtra legislative council then it give serious signals to existence democratic set up of this country if we allow the culture floated by BJP president Nitin Gadkari is continued then there will complete economic and social system collapse . 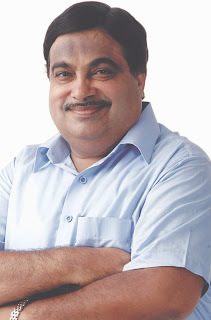 It has been fashion of BJP president Nitin Gadkari to give legal notice and arrange it’s maximum publicity then put the mechanism to settle the or salient the voice of activist which will happen with Anjali Damania but there are many questions for the BJP president Nitin Gadkari regarding his business links with Manish Mehta, Ajay Sancheti ,Avinash Bhosale so on as list is too large to find space in Tihar jail register but all are black-listed in some or other illegal allotment mine or block ,fraudulent documentations to get multi million contract or finance or associated with cartelization to loot national exchanger or create Toll Raj in India. The existing ‘Watergate –Coalgate and Powergate’ and illuminate all misdeeds is right chance for all political parties to correct their leadership other wise they should be ready to face revolution in near future as young generation who are not too innocent to understand these organized massive corruption depriving bread of poor and forcing thousands of farmers to kill themselves hence this warning.